The aim of this book is to show how a cultural approach can contribute to the assessment, description and improvement of safety conditions in organizations. The relationship between organizational culture and safety, epitomized through the concept of 'safety culture', has undoubtedly become one of the hottest topics of both safety research and practical efforts to improve safety. 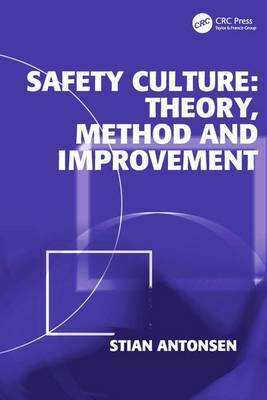 By combining a general framework and five research projects, the author explores and further develops the theoretical, methodological and practical basis of the study of safety culture. What are the theoretical foundations of a cultural approach to safety? How can the relationship between organizational culture and safety be empirically investigated? What are the links between organizational culture and safety in actual organizations? How can a cultural approach contribute to the improvement of safety? These are the key questions the book seeks to answer with a unified and in-depth account of the concept of safety culture.